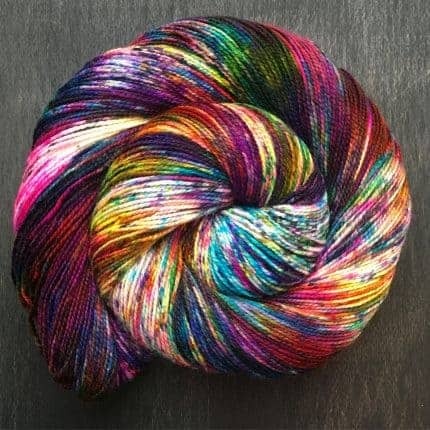 Supernova is back in stock! 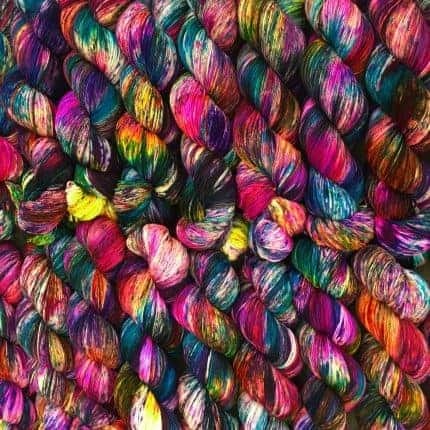 Possibly my most popular colorway to date, “Supernova” is a super happy, neon speckled yarn with a rainbow of colors! There are pops of hot pink, orange, yellow, blue, green and purple that are contrasted with a background of white and deep speckles of black. 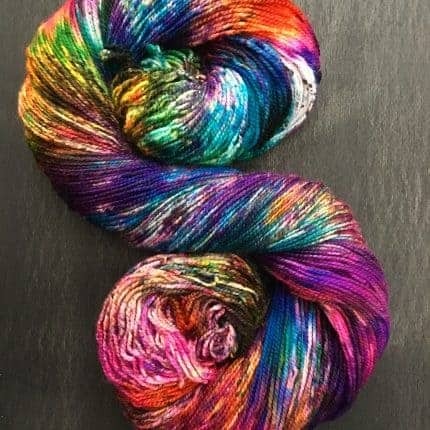 This colorway is also my favorite to photograph! 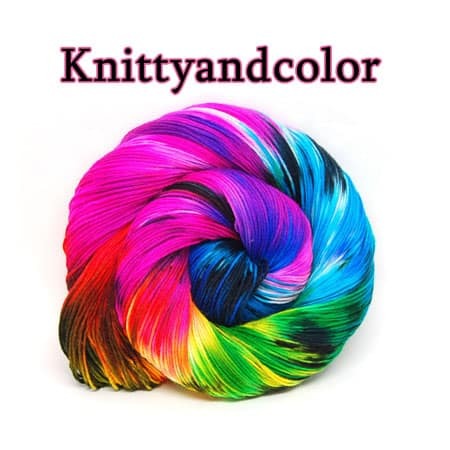 It is currently available in my Etsy shop on my three sock yarn bases as well as my DK and Worsted bases.